Guard against B-ball apathy when you hand out the Basketball Schedule Flyer! 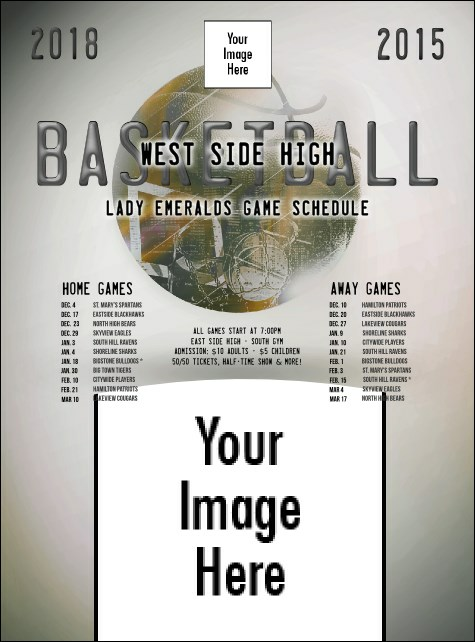 With spots for your team photo and logo, this template can't fail to capture notice. Fifty-five slots leave plenty of room for team info and dates, times and locations of all season games. Approximate size: 8.49" x 11.46"
Find the right flyer to fit every occasion at TicketPrinting.com!